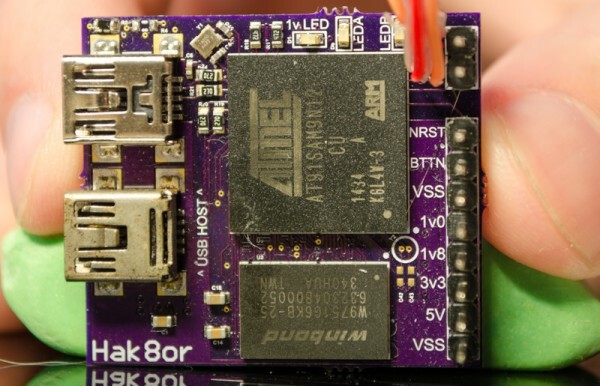 The repository is divided into two SOC’s, one being Atmel’s AT91SAM9N12 which is what the currently working board uses, and the other being Freescale’s I.MX223. Each SOC subdir contains schematics, board files, the required code modifications in the form of git patches to the secondary bootloaders, U-Boot, etc, and various scripts. The current folder structure doesn’t represent the folder structure which the scripts are run in, since this is meant solely for myself for now the most I can say is to look at the paths present in the scripts to see what script goes where. This entry was posted on Tuesday, April 7th, 2015 at 2:22 pm	and is filed under DIY, project logs. You can follow any responses to this entry through the RSS 2.0 feed. You can skip to the end and leave a response. Pinging is currently not allowed. If there are any questions, feel free to ask here or on the forum! These aren’t really for sale since it’s a very unpolished hobbyst project, and the cost for one of these solely via BOM costs (not large volume) would still be more than a Pi 2, while the Pi 2 is much faster, better supported, and has gone through many tests. The Intel Edison is also very small and very well supported, but on the pricey end. And I’m still waiting until some company integrates the CPU and RAM in a single chip , and the chip will be in the DIP housing . It will be a revolution greater than Arduino : -) . Actually, this already exists somewhat! Chipsets used in order cellphones use what is called package on package, where the memory sits on top of the packaged of the SoC (processor). Heck, they even sometimes integrate nand flash into the same die where memory sits. There is a company out there which makes an arm processor that has an mmu with a bit of integrated dram in the same package too, but I forgot their name and am mobile. And, I soldered them all myself using a normal soldering iron and a hot air station. There are many resistors used so I am not sure which ones you are referring to, but for the leds they are normal current limiting resistors. And for the others, they are as per the reference design or the datasheet reccomend ed values.